High concentration of smoke from exhaust of vehicles ,while testing the sound systems of vehicles. For testing sound , engine needed to be kept started. Since the premises are air conditioned , all smoke was spreading in the testing area as well as showroom & there was no scope for venting. There were two such bays, where testing of vehicles took place. 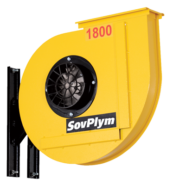 Sovplym offered Central Vehicle Exhaust extraction systemas an optimal solution. 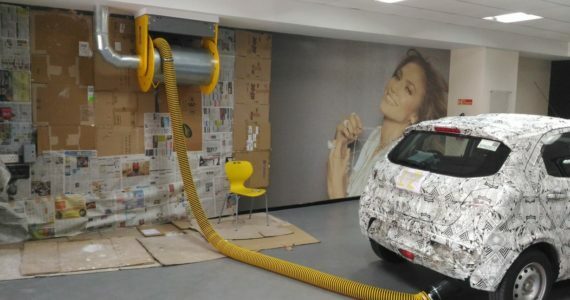 To be able to extract smoke from testing bays – two hose reels were offered. All the smoke is extracted by radial fan located in the outside premises..